Thank you for joining us at the Women's Leadership Council Annual Luncheon Fashion Show! As both a celebration of WLC’s past impact and a way to ignite future change, nearly 500 community and business leaders came together to recognize our community’s Women on the Move and raise awareness for today’s most pressing needs at the 11th Annual WLC Luncheon Fashion Show at the Bellagio Las Vegas on Friday, March 1st. Attendees saw firsthand how the WLC uses their collective power to improve the lives of children, families, and individuals in Southern Nevada from cradle to career. See photos from the Luncheon here. 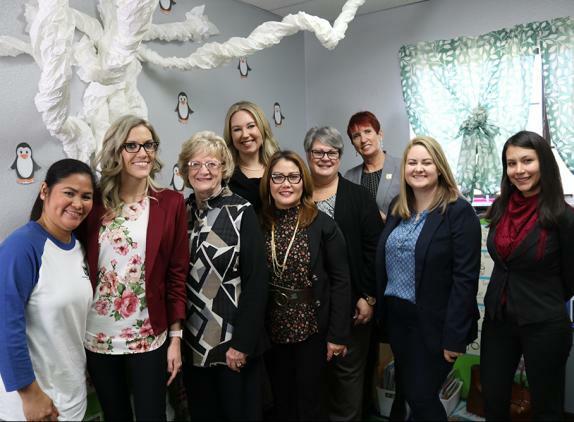 United Way of Southern Nevada's Women’s Leadership Council (WLC) is part of a global, growing force of over 75,000 women in 170 communities and six countries who have collectively raised over $1.9B in supporting United Way's mission to improve lives and build stronger communities. In southern Nevada, the WLC has raised over $2.7M since inception, investing their dollars in critical projects which are changing lives. Visit uwsn.org/wlc to learn more.